EAFRD funds contributed to the modernisation of a dairy farm in the Järva county through the installation of new technologies including a cattle husbandry building, milking robots, milk cooling tanks, and a buffer tank. LCC Aravete Agro has a dairy herd of 1,800 cattle, with an annual output of 8,200kg while the annual milk output per cow in a mechanised unit is up to 10,000kg. In addition, the company owns 2000 heifers, cultivates 4,500 ha of land and employs 100 people. 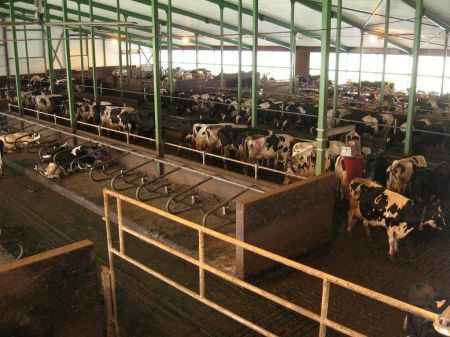 The project aimed to modernise production by i) completing the new mechanised barn, which contains 580 cows; ii) using selected sperm, as a result of this, 90% of calves are cow calves; iii) grading cattle, with pregnant young heifers sold to foreign countries including Germany, Spain, Romania, Malta and Turkey. The main activity of the project has been the installation of new technologies including the cattle husbandry building, Astronaut A3 milking machines, LELY NAUTILUS milk cooling tank, and a buffer tank. The barn is equipped with the most modern technology in Eastern Europe with dairy production increasing over 1,000 kg/cow in one year. The 'free range' barn has created better living conditions for the cattle and the cow will go to the milking robot when it is ready, averaging 2.5 times a day. The milking robot has its own lab to assess animal weight, body temperature and analyse the milk. There is only one employee per barn, who can manage everything from a computer screen. The milking robot is the next step in modernising milk production.